All abstracts for Poster Session A, Thursday September 15, 2016 from 11:00am – 12:30pm in Regency III/IV are listed below. Abstracts and information for plenary and concurrent sessions are accessible via the online schedule. Abstract: Background: Church-based interventions have been used to reach racial/ethnic minorities. In order to develop effective programs, we conducted a comprehensive systematic review of faith-based cancer prevention studies (2005~2015) to examine characteristics and promising strategies. Methods: Combination terms “church or faith-based or religion,” “intervention or program,” and “cancer education or lifestyle” were used in searching the five major databases: CINAHL, ERIC, Health Technology Assessments, MEDLINE, and PsycInfo. A total of 14 studies met study criteria. CDC’s Community Guide was used to analyze and group interventions reviewed. Analyses were organized by two racial groups: African-American (AA) and Latino Americans. Results: Results show most studies reviewed focused on breast cancer alone (n = 9) or in combination with other cancers (n = 2). Studies of Latino groups targeted more on uninsured, Medicare or Medicaid individuals, whereas AA studies generally did not have insurance criteria. The sample sizes of the AA studies were generally larger. Majority of these studies reviewed used pre-post, post-test only with control group, or quasi-experience designs. Health Belief Model was the most commonly used theory in both groups. Community-based participatory research and empowerment/ecological frameworks were also used frequently in the Latino studies. Small media and group education were the top two most popular intervention strategies in both groups. Although one-on-one strategy was used in some Latino studies, neither group used reducing out-of-pocket costs or reducing structural barriers. Client reminders could also be used more in both groups as well. Current review showed church-based cancer education programs were effective in changing knowledge, but not always screening rates, especially among Latino groups. Discussion: Results show faith-based cancer educational interventions are promising. To maximizing intervention impact, future studies might consider using stronger study design, incorporating proven effective strategies, applying less frequently used evidence-based strategies, and examining promising strategies. Learning Objectives: The participant shall be able to describe the significance of faith-based cancer education programs to reach and encourage screenings among racial/ethnic minority groups, identify commonly used evidence-based strategies among faith-based cancer education program targeted racial/ethnic minority groups, and discuss limitations of existing faith-based cancer education programs and implications of incorporating less commonly used evidence-based strategies recommended by the community guide in future studies. References: 1. Yeary, K. H., Klos, L. A., & Linnan, L. (2012). The examination of process evaluation use in church-based health interventions: a systematic review. Health Promot Pract, 13(4), 524-534. 2. Allen, J. D., Pérez, J. E., Tom, L., Leyva, B., Diaz, D., & Torres, M. I. (2014). A Pilot Test of a Church-Based Intervention to Promote Multiple Cancer-Screening Behaviors among Latinas. Journal of Cancer Education, 29(1), 136-143 138p. Abstract: Background/Purpose: Cancer has been the leading cause of death among Chinese. Studies show church-based health promotion programs can effectively promote health behaviors in certain ethnic minorities. Yet few studies have examined Chinese communities. This study examined a comprehensive array of cancer screening beliefs and health communication variables among church-based Chinese adults for tailored cancer education program development to promote equity. Methods: A self-administered survey, including a short version of Hou’s cancer screening belief scales (CSBS; 10 items), healthcare utilization, major health information sources, and recommended eHealth communication strategies, was administered. Participants were recruited from nine Chinese churches (five in the USA and four in Taiwan; n = 372). Results: Mean age was 44.31 (SD = 14.74), 60 % were males, 72 % were married, and majority had college education (85 %). Cronbach’s alphas of CSBS-pros (three-item) and CSBS-norms (three-item) both showed satisfactory reliabilities (alphas of .82 and .72, respectively). CSBS-cons (four items) had lower reliability (alpha of .65) indicating participants might perceive the various screening barriers differently. Overall participants endorsed high screening benefits (mean = 4.17), moderate barriers (mean = 2.69), and screening norms (mean = 3.75). Over half (54 %) of the participants had family cancer history and perceived moderate cancer risk (mean = 2.66). About 54 % reported annual exams, yet only a third (35 %) indicated doctors recommended screenings, and 27 % talked to doctors about cancer screenings. Data showed top sources of health information came from the Internet or social media sites and lowest from doctors/nurses. The top three most effective eHealth communication strategies recommended were personal health assessment (37.6 %), personal experience or stories (32.6 %), and downloadable health resources (24.5 %). Discussion: Study is limited to a convenience sample of Chinese adults. Results provided valuable information on perspectives and strategies for effective eHealth cancer communication program development among church-based Chinese adults. Learning Objectives: After attending this session, participants will be able to describe cancer screening beliefs of church-based Chinese adults in the study and identify potential effective health communication channels and strategies for developing eHealth cancer communication interventions among church-based Chinese adults. References: Wang J, Burke A, Tsoh JY, Le GM, Stewart S, Gildengorin G, et al. Engaging Traditional Medicine Providers in Colorectal Cancer Screening Education in a Chinese American Community: A Pilot Study. Prev Chronic Dis 2014;11:140341. doi:10.5888/pcd11.140341. Le TD, Carney PA, Lee-Lin F, Mori M, Chen Z, Leung H, et al. Differences in knowledge, attitudes, beliefs, and perceived risks regarding colorectal cancer screening among Chinese, Korean, and Vietnamese sub-groups. J Community Health 2014;39(2):248–65. Abstract: Background/Purpose: Regular health check-ups and screenings can help detect cancers early for early treatment and increased survival likelihood. Cancer has been the leading cause of death among Chinese, one of the largest populations in the world and among the fastest growing ethnic minority groups in the USA. This study examined demographics and cancer prevention-related factors on regular annual health exam among church-based Chinese adults. Methods: A self-administered survey was conducted among adults from nine Chinese churches (five in the USA and four in Taiwan; n = 372). The survey was developed in English and translated in Chinese and back translated. Results: Mean age was 44.31 (SD = 14.74), 60 % were males, 72 % were married, majority had college education (85 %), and 54 % reported had regular annual health exams. Data showed those reported regular health exams were more likely to be older (47.5 vs. 39.5 years; p<.001), married (83.3 vs. 57.4 %; p < .001), and had college or higher education (88.6 vs. 80.0 %; p = .026). In addition, these individuals also had higher subjective cancer knowledge level (2.93 vs. 2.68; p = .012), perceived health status (3.37 vs. 3.18; p = .044), screening benefits (12.80 vs. 12.10; p = .002), screening norms (11.50 vs. 10.85; p = .003), and lower screening barriers (10.14 vs. 11.46; p < .001). Logistic regression analysis including these significant factors together showed that age (OR = 1.03), marital status (OR = 2.36), college education (OR = 1.17), and perceived screening barriers (OR = .88) remained significant predictors on regular annual health exam history (model chi-square (8) = 64.31; p<.001; 70.0 % correct). Discussion: The study is limited to a convenience sample and cross-sectional survey design. Current study provides valuable information on important factors related to annual health check-ups for potential early detection of cancers. Study findings have implication on identifying significant demographic and psychosocial factors for developing tailored cancer education interventions among church-based Chinese adults to address cancer disparities. Learning Objectives: After attending this session, participants will be able to discuss demographics and cancer prevention-related factors on regular health check-ups among Chinese adults and discuss implications of study findings on factors important to be considered in developing effective cancer screening education programs among Chinese adults to promote equity. References: Lee, S., Chen, Lu, Lung, M.Y., Baezconde-Garbanati, & Juon H.S. (2014). Acculturation and cancer screening among Asian Americans: Role of health insurance and having a regular physician. Journal of Community Health, 39(2), 201-212. Wang, J.H., Schwartz, M.D., Luta, G., Maxwell, A.E., & Mandelblatt, J.S. (2012). Intervention tailoring for Chinese American women: comparing the effects of two videos on knowledge, attitudes and intentions to obtain a mammogram. Health Education Research, 27(3), 523-536. Abstract: Cancer Care Ontario and Public Health Ontario published the 2012 report Taking Action to Prevent Chronic Disease which examined the leading chronic diseases. The report identified opportunities to reduce population-level exposure to four key cancer risk factors: healthy eating, active living, alcohol consumption and tobacco use. One of the 22 recommendations from this report was to “ensure that the actions to address risk factors associated with chronic diseases consider the barriers to health faced by Aboriginal people in Ontario.” The 2016 report Path to Prevention—Recommendations for Reducing Chronic Disease in First Nations, Inuit and Métis (FNIM) provides recommendations through policies and initiatives needed to address the high burden of chronic diseases faced by FNIM communities. The 22 recommendations put forward to the government were developed through collaboration with FNIM and then validated to ensure the recommendations accurately reflected the communities’ priorities. In addition to the four cancer risk factors, recommendations in equity and collaboration were made to address the socioeconomic health inequities. The innovative recommendations were developed through secondary research, guidance from the Joint Ontario Aboriginal Cancer Committee, extensive focus groups (n = 28) and key informant interviews (n = 48), with FNIM communities, stakeholders and government. The information collected was then reviewed through surveys and interviews to ensure the recommendations addressed FNIM communities’ priorities. A report card will be produced at intervals post-release of the report to assess the progress made on the recommendations and the commitment to the First Nations, Inuit and Métis communities. The recommendations are focused on creating environments in which First Nations, Inuit and Métis peoples can make healthy choices. A whole-of-sector, multi-pronged approach was used to ensure that the recommendations can be applied to support the efforts of FNIM individuals, families and communities to address the gaps in the health system. Learning Objectives: The participants shall be able to identify the process for developing health equity policies with First Nations, Inuit and Métis to ensure collaboration and validation of priorities that reflect the FNIM communities. The participant shall be able to identify the social determinants of health and how the determinants relate to chronic disease for FNIM and affect the physical, emotional, mental and spiritual health. References: Greenwood, M.L. and de Leeuw, S.N. (2012). Social determinants of health and the future well-being of Aboriginal children in Canada. Paediatrics & Child Health 17(7), 281-384. Halseth, R. (2013). Aboriginal Women in Canada: Gender, socio-economic determinants of health, and initiatives to close the wellness-gap. Prince George, BC: National Collaborating Centre for Aboriginal Health. Abstract: Background/Purpose: Although cancer is relatively rare in children and adolescents, accounting for about 1 % of all newly diagnosed cancers, it is the fourth leading cause of death for Canadians under the age of 20. Fortunately, because of earlier diagnosis, treatment intensification, and multimodaltherapies, more than 80% of children and adolescents will survive their cancers. Approximately two thirds of survivors live with late side effects of treatment. Adolescent and young adult (AYA) survivors (<39 years of age) have unique information, psychosocial, and medical needs throughout the treatment and survivorship phases because of the impact of treatments such as surgery, chemotherapy, and radiation or a combination of these at younger ages. Because of the experience of one of the authors who is an AYA survivor, we set out to answer the following questions: What is the impact of cancer and treatment on the experience of AYAs? How can healthcare professionals better prepare AYAs for a lifetime of survivorship? Description: We included both quantitative and qualitative literature in our review, with a focus on survivors’ stories to deepen our understanding of the impact of cancer and treatment on AYA survivors. We also sampled frameworks, models, and education programs evaluated as positively influencing the AYA experience of care and survivorship. Evaluation: We represent AYAs’ disease-specific late effects from the perspective of their impact on the person. We also link the emotional, physical, practical, psychological, and spiritual domains to frameworks, models of care, and education programs in order to identify opportunities for healthcare professional education. Usefulness: The focus in the literature on patient engagement, self-management education, and interdisciplinary support across the cancer trajectory points to an opportunity for education institutions to re-examine existing healthcare student curriculum from the AYA perspective. We have shared our evaluation with a healthcare professional education program for this purpose. Learning Objectives: The participant shall be able to describe the emotional, physical, practical, psychological, and spiritual impacts of cancer and treatment on the experience of survivorship from the AYAs’ perspective and identify at least two topic areas based on the needs of AYAs that would facilitate development of a person-centred curriculum for healthcare student education. References: Nass, S.J., Beaupin, L.K., Demark-Wahnefried,W., Fasciano,K., Ganz,P.A., Hayes-Lattin, B.Hudson, M., Nevidjon, B., Oeffinger, K.C., Rechis,R., Richardson, L.C., Seibel, N.L., & Smith, A. W. (2015). Identifying and addressing the needs of adolescents and young adults with cancer: Summary of an Institute of Medicine workshop. The Oncologist, (20), 186-195. Reed, D., Block, R. G., & Johnson, R. (2014). Creating an adolescent and young adult cancer program: Lessons learned from pediatric and adult oncology practice bases. Journal of the National Comprehensive Cancer Network, 12(10), 1409-1415. Abstract: Background/Purpose: Cancer professionals need Continuing Medical Education (CME) credit to maintain licensure, stay informed of scientific advances, and improve patient care. In order to ensure the highest standard of educational programming for medical professionals, CME programs must comply with a set of criteria. The American College of Surgeons (ACS) provides CME credit for approximately 1700 CME activities annually, including the National Accreditation Program for Breast Centers, Commission on Cancer, and American Joint Committee on Cancer. While there was an increase in demand for CME programs, submission errors and omissions of documented materials were barriers and resulted in missed opportunities and increased costs. The purpose of this study was to determine the impact of multi-modal quality improvement interventions on the CME submission process between 2014 and 2015 to improve efficiency and reduce the associated burden and costs. Description: Quarterly CME staff meetings, ongoing training programs for new providers, newsletter initiation, automated deadline reminders, and bi-annual webinars were implemented by the Division of Education to decrease errors in submission and reduce staff time involved in administering CME programs. Evaluation: Descriptive statistics were used to compare the number and type of CME programs, submission processing time, and volume of interactions pre- and post-interventions. There was a 10-day decrease in the length of time between submission and approval and a 43.7 % improvement in compliance with disclosure deadlines. The Division of Cancer expanded CME e-learning and live offerings by 40 % with no increase in administrative staff time. Usefulness: Staff training and automated applications with clear guidelines resulted in improved compliance, decreased staff time, and an increase in CME offerings without increased demands on existing organizational resources. Multimodal process improvement interventions promote cancer professionals in gaining greater access to high quality educational opportunities. Learning Objectives: The participant will be able to identify at least three quality improvement interventions that reduced barriers associated with accredited cancer education. References: Uemura, M., Morgan, R., Mendelsohn, M., Kagan, J., Saavendra, C., Leong, L. (2013). Enhancing quality improvements in cancer care through CME activities at a nationally recognized cancer center. Journal of Cancer Education 28(2), 215220. Vukovic, M., Gvozdenovic, B.S., Rankovic, M., McCormick, B.P., Vukovic, D.D., Gvozdenovic, B.D., Kastratovic, D.A., Markovic, S.Z., Jakovljevic, M.B. (2015). Can didactic continuing education improve clinical decision making and reduce cost of quality? Evidence from a case study. Journal of Continuing Education in the Health Professions 35(2), 109-118. P14-A: Do Patients’ Intuition, Mutual Response Time, and Doctor’s Linguistic Fuzziness Matter to Doctor–Patient Ongoing Cooperation? Abstract: Follow-up visits with a routine cancer doctor are essential to doctor–patient relationship, which may greatly affect cancer patients’ disease outcome. Though many factors may affect the degree of doctor–patient interaction, to date, there has been no existing literature considering the effect of patients’ intuition, mutual response time, and the degree of linguistic clarity of doctors on cancer doctor–patient ongoing cooperative relationship.This study examined the effect of patients’ intuition, mutual response time, and the degree of linguistic clarity of doctors on doctor–patient cooperation when such relationship occurs repetitively from both sides of perspectives. The data were collected from the primary care providers within UNMC and their patients by a survey containing all questions regarding the variables of interest. Verbal consent was obtained. Descriptive statistics and Fisher exact test were used to characterize the study population and all variables of interest. Logistic regression analysis was conducted to study the association between doctor– patient cooperation and patient’s intuition, mutual response time, and doctor’s linguistic fuzziness by adjusting for confounders. Besides, comparison between cancer doctors’ and their patients’ perceptions was made. Results only found there were evidence of a statistically significant difference in the proportions of those variables such as the frequency of looking at patients during first meeting, the likelihood of smiling at patients for first meeting, doctors’ linguistic clarity, and using medical terminologies to explain diagnosis between positively cooperated relationships between patients and doctors and negatively cooperated doctors and patients. Though the study is limited by small sample size, it may shed insights and can be contributable to further analysis on a state or national level in order to better understand the roles of patients’ intuition, mutual response time, and the degree of linguistic clarity on this special and important type of human cooperation between cancer doctors and their patients. Learning Objectives: Cancer doctors and their patients shall be able to improve their cooperation from this study by understanding the determinants of the repetitive and positive interaction between patients and their doctors. Cancer patients and their families shall be able to better understand and effectively cope with cancers by being consistently engaged in cooperating with their doctors. Meanwhile, improvement of this doctor–patient relationship may facilitate cancer doctors in identifying the contributing factors for deepening cancer education. References: Hassani P., Abdi, A., Jalali R., & Salari N. The perception of intuition in clinical practice by Iranian critical care nurses: a phenomenological study. Psychology Research and Behavior Management, 2016. 9, 31–39. doi:10.2147/PRBM.S101040. Schuers M., Griffon N., Kerdelhue G., Foubert Q., Mercier A., & Darmoni S. J., Behavior and attitudes of residents and general practitioners in searching for health information: From intention to practice, International Journal of Medical Informatics, Volume 89, May 2016, Pages 9-14, ISSN 1386-5056, doi:10.1016/j.ijmedinf.2016.02.003. Abstract: Purpose: This project will develop a multimodal mass media campaign increasing breast cancer prevention knowledge and screening mammography among African-American women in Washington, DC. The DC metropolitan area has some of the highest breast cancer mortality and incidence rates in the country, especially disproportionate among minority women. Capital Breast Care Center (CBCC) is a community-based outreach arm of Georgetown Lombardi Comprehensive Cancer Center. CBCC provides screening mammography and health and wellness education to underserved women in the DC area, regardless of their ability to pay. Numerous barriers contribute to the health disparity and higher late stage diagnosis rates including lack of knowledge/ awareness, access to screening, fear, and insurance status. Description: This project incorporates community-centered input to design a mass media campaign that promotes awareness and provides direct access to services eliminating barriers to screening. Focus groups were conducted targeting African-American women in Washington, DC to determine breast health knowledge, views on effective health messages, and commonly preferred modes of mass media delivery. Emerging themes from focus group analysis will be used to create and tailor a multimodal mass media campaign. In addition, access to screening mammograms will be provided through CBCC, increasing annual rates by at least 15 %. This project reduces barriers to screening by providing direct access to mammography, group van transportation, health education, and patient navigation. Evaluation: Primary outcomes of interest are number of women who receive screening mammograms at CBCC as a result of the campaign and awareness and knowledge of the campaign. Secondary outcomes include intent to adhere to mammography guidelines and plan to return for mammograms within the next 1–2 years. Usefulness: The project design can be replicated and used as a tool to shape mammography education messages across urban populations. The mass media campaign can be used as a resource and modified for other populations. Learning Objectives: The participant shall be able to identify barriers that contribute to breast health disparities and higher late stage diagnosis and describe the method used to determine breast health knowledge and views of underserved, African American women over the age of 40. References: Castel A, Magnus M, Peterson J, Anand K, Wu C, et al. (2012) Implementing a novel citywide rapid HIV testing campaign in Washington, DC: findings and lessons learned. Public Health Reports, 127:422-431. Hall IJ, Rim SH, Johnson-Turbes CA, Vanderpool R, Kamalu NN. (2012). The African American women and mass media campaign: A CDC breast cancer screening project. J Womens Health. 2012;21(11): 1107–1113. Vallone D, Duke J, Cullen J, McCausland K, Allen J. (2011). Evaluation of EX: A national mass media smoking cessation campaign. Research and Practice, 101(2):302-309. Abstract: Seventy years were more likely to refuse treatment than those age 50–70 years; the adjusted odds ratio (AOR) for refusal of surgery was 3.42 and chemotherapy for stage III (AOR = 3.16) and stage IV (AOR = 2.68). Compared to patients with private insurance, uninsured patients were more likely to refuse surgery (AOR = 2.47) and chemotherapy for stage III (AOR = 2.56) and stage IV (AOR = 2.50). Patients with comorbid conditions were less likely to refuse surgery (AOR = 0.87) but more likely to refuse chemotherapy for stage III (AOR = 1.94) and stage IV (AOR = 1.99). Compared to those treated at community facilities, patients treated at academic facilities were less likely to refuse surgery (AOR = 0.45) and chemotherapy for stage III (AOR = 0.78) and stage IV (AOR = 0.68). Conclusions: Multiple patient and system-related factors such as older age at diagnosis, comorbid conditions, and uninsured status were associated with higher treatment refusal. Consideration on these factors is essential to develop strategies for patient education and patient–provider communication. Further investigations could inform ways to increase patient acceptance of recommended treatment and to improve patient outcomes. Learning Objectives: Results present in this study will increase participants knowledge on the identified factors associated with treatment refusal of the non-small cell lung cancer (NSCLC) patients. Patients, patients’ advocate, cancer providers, and other stakeholders can use those pieces of information to better formulate approaches such as in cancer education or patient–physician communications and to overcome challenges from treatment refusal. In the long term, it will ultimately improve lung cancer patient outcomes. References: Landrum, M.B., et al., Reasons for underuse of recommended therapies for colorectal and lung cancer in the Veterans Health Administration. Cancer, 2012. 118(13): p. 3345-55. Ward, M.M., et al., Who does not receive treatment for cancer? J Oncol Pract, 2013. 9(1): 20-6. Ryoo, J.J., et al., Patient preference and contraindications in measuring quality of care: what do administrative data miss? J Clin Oncol, 2013. 31(21): p. 2716-23. Grant, S.R., et al., Variation in insurance status by patient demographics and tumor site among nonelderly adult patients with cancer. Cancer, 2015. 121(12): p. 2020-8. Abstract: National Cancer Institute (NCI) Comprehensive Cancer Centers have as their mission translating research to patients and communities. Innovative cancer education approaches are critical. People today have many options for receiving health information through technology and the Internet. However, others prefer to rely on personal communication with health care experts via phone or in person, along with printed material. Given our diverse population and their educational preferences, a multifaceted approach is critical. The purpose of this presentation is to describe an institution’s evolution reaching a diverse audience utilizing combinations of services including social media forums, online education, and campaigns. Partnering with the cancer center’s marketing department helps reach a broader audience and provides tools to measure success. Our community outreach program includes several services: Community Outreach Events, Cancer Answer Line, Speakers Bureau, Low Dose CT Lung Cancer Screening, and Comprehensive Nicotine Cessation. Patients are reached through a wide variety of access points, including provider referrals, electronic medical record (EMR) automatic referrals, and employee referral programming. In collaboration with our marketing specialists, we additionally utilize electronic communication including social media, television, blogs, podcasts, and video. Marketing is a key partner to measure success. Electronic technologies can document utilization through unique telephone contacts, EMR referrals, and web metrics. These statistics show that media campaigns often increase information seekers substantially, often by as much as 300 %. Cancer education can use marketing to achieve their critical objectives of helping communities achieve optimal health, emphasizing cancer prevention, screenings, and early detection. This partnership is key to a successful NCI Comprehensive Cancer Center mission. Although most hospitals use marketing departments as a way to increase patient volumes, marketing can also support the needs of cancer community outreach. Education is critical to ensure people can self-advocate to make the best choices for their health. Learning Objectives: The participant shall be able to identify one key component to implement a successful educational community outreach service meeting needs of their organization, community, and NCI. The participant shall be able to identify one key component required with online cancer patient education to ensure the viewers’ educational needs are met. References: Alexander, J., Kwon, H.T., Strecher, R., Bartholomew, J. (2013). Multicultural Media Outreach: Increasing Cancer Information Coverage in Minority Communities. Journal Cancer Education, August 21. http://rtips.cancer.gov/rtips/index.do NCI web link on community interventions and research resources. Pratt-Chapman M. Willis A. Community Cancer Center Administration and Support for Navigation Services. Seminars in Oncology Nursing 2013. 29(2): 141-48. Abstract: Background/Purpose: Research indicates that one third of cancer cases in the USA are related to energy imbalance and lifestyle, many of which could be prevented through behavior change (American Cancer Society, 2014). The Cancer Prevention Center at MD Anderson completes over 4000 patient visits each month with one goal: to reduce cancer risk. When these patients arrive for a clinical screening appointment, they are given the opportunity to be screened for and receive a primary prevention intervention with a Health Education Specialist (HES) in the areas of nutrition and physical activity (energy balance). Description: To identify energy balance needs, a survey was developed containing questions that align with national guidelines for cancer risk reduction through lifestyle. This patient-reported data collected during the consultation with the HES, trained in Motivational Interviewing, allows for a tailored, patient-centered comprehensive lifestyle intervention. Goals are set in clinic and the patients are given the opportunity to follow-up with the HES, free of charge, in clinic, by telephone or through an electronic messaging system. Evaluation: From October 6, 2014 to March 26, 2016, approximately 1362 surveys were completed. The survey will be administered again when patients return for their annual screening. At baseline, patients reported consuming an average of 3.6 sugary drinks and 2 processed meats each week, being physically active at a moderate intensity for an average of 2 days for 30 min each week, and completing muscle strengthening exercises less than 1 day each week. After the follow-up questionnaire is collected, we will analyze the data to assess if improvements were made towards adherence of the guidelines. Usefulness: Annual cancer incidence is increasing and is expected to reach 22 million as early as 2025 (International Agency for Research on Cancer, 2012). These baseline results indicate there is much work to be done in this population for cancer risk reduction. Next steps include validating the survey for sustained use in clinical settings. Learning Objectives: The participant shall be able to identify at least one American Institute of Cancer Research (AICR) guideline that MD Anderson Cancer Prevention Center patients are meeting. The participant shall be able to identify at least one AICR guideline that MD Anderson Cancer Prevention Center patients are not meeting. References: American Cancer Society. “Global Cancer Facts & Figures.” N.p., 2014. Web. 30 Mar. 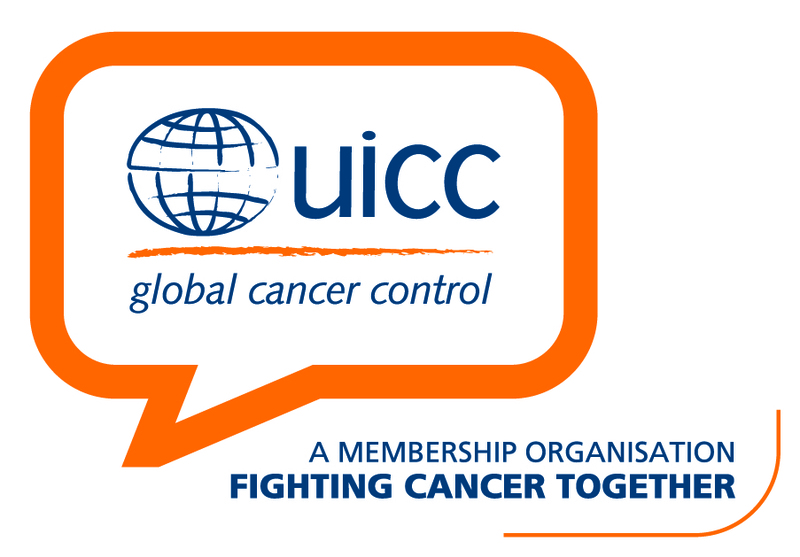 2016. International Agency for Research on Cancer. “GLOBOCAN 2012: Estimated Cancer Incidence, Mortality and Prevalence Worldwide in 2012.” N.p., Web. 30 Mar. 2016. Abstract: By 2030, 20 % of the US population will be 65 years or older. Currently, 60 % of cancer occurs in people over age 65. As an oncology community, we have a responsibility to identify distinct and innovative ways to support the unique needs of older adults with cancer. The purpose of the video podcast is to make patient education accessible and more effective by delivering it via a video podcast that can be accessed remotely and during the time when a patient is most receptive to the information. Many older adult patients express a struggle to drive to the hospital for a class, add it to already lengthy appointments when they are on site or be receptive to receiving information while getting treatment. The education topics for the “Keys to Successful Aging” podcast series were created utilizing data based on what older adult patients told us they were most concerned about. Patients complete a psychosocial screening tool that informs our team of issues that patients are most challenged by. Data from over 17,000 surveys was analyzed to show that sleep and pain were among the top 5 issues reported by patients over age 65. Further small-scale surveys were conducted among this age group to develop a subset of topics. The video podcast includes facilitation by a patient with information from a health educator, clinical social worker, expert guest speakers, and references to educational materials. The effectiveness of this intervention will be measured by a patient survey and selected metrics, such as number of views on the website. The tools developed here can be accessed by any other organization as a resource for all cancer patients. Elderly patients with cancer will benefit from an educational tool providing content of high interest while allowing flexible access and feedback. Learning Objectives: The participant shall be able to identify at least two benefits of using podcasts as a means of patient education. The participant shall be able to provide feedback about their learning experience. The participant should be able to identify applicability of the teaching tool in their practices. References: Ko, L. K., et al. (2014). “Information processing versus social cognitive mediators of weight loss in a podcast-delivered health intervention.” Health Educ Behav 41(2): 197-206. O’Higgins, A., et al. (2014). “The use of digital media by women using the maternity services in a developed country.” Ir Med J 107(10): 313-315. Turner-McGrievy, G., et al. (2013). “Delivering Health Information via Podcast or Web: Media Effects on Psychosocial and Physiological Responses.” Health Communication 28(2): 101-109 109p. Harmer, V. (2013). “Using podcasts to keep patients informed.” Nursing Times 109(38): 23-23 21p. Solomon, M., et al. (2012). Abstract: Background: Young Survival Coalition (YSC) is dedicated to the unique needs of women diagnosed with breast cancer under 40. YSC strives to deliver innovative, high quality, convenient, and educational programming for young breast cancer survivors (YBCS). Description: Following research and testing, YSC began offering live-streamed educational events for YBCS using embedded Google Hangouts on Air in Facebook (“Hangouts on Air”). YSC staff planned topics, secured speakers, and received approval to offer continuing education credits (CEU). YSC promoted the events to YBCS on social media, national newsletter emails, and targeted emails. Each event was hosted on a dedicated public Facebook Event. Evaluation: YSC has offered four live-streamed educational programs: Clinical Trials: Young Breast Cancer Survivors as Trailblazers (Dr. Don Dizon); The Research and Benefit of Introducing Palliative Care Early in the Cancer Journey (Dr. Kate Adelstein); Let’s Have Dinner and Talk about Death (Michael Hebb & Angel Grant); and The “Nuts and “Bolts” of End of Life Planning (Stephanie Fajuri, Esq.). All events were recorded and now live on YSC’s YouTube channel. Hangouts on Air do not capture the total number of participants; 198 YBCS registered to attend through Facebook Event pages, and YouTube videos have been watched 663 times. YSC received over 40 requests from healthcare providers for CEU credits. Evaluation results from the Dizon event revealed that 100 % of respondents better understand clinical trials and options available. Sixty-five percent plan to talk with healthcare providers about clinical trials, and 71 % plan to advocate with FDA regarding drug access. The costs to run these programs were minimal, although YSC staff time was necessary to plan and participate the events. Usefulness: Livestreamed events through Hangouts on Air are an effective and efficient method of delivering quality programming that reaches a large audience and allows YBCS to participate from any location. Learning Objectives: The participant shall be able to describe at least one innovative technology platform that can provide online, participatory, educational programming. The participant shall be able to identify at least two benefits of utilizing an online educational program to provide support and education to an underserved population. References: American Cancer Society. Breast Cancer Facts & Figures 2013-2014. Bloom JR, Stewart SL, Oakley-Girvan I, Banks PJ, Shema S. Quality of life of younger breast cancer survivors: persistence of problems and sense of well-being. PsychoOncology. 2012; 21(6):655-665. Howard-Anderson J, Ganz PA, Bower JE, Stanton AL. Quality of life, fertility concerns and behavioral health outcomes in younger breast cancer survivors: a systematic review. J Natl Cancer Inst. 2012; 104(5):386-405. Abstract: Background/Purpose: Health care providers (HCPs) have been utilizing electronic platforms to enhance their skills. Online education has been shown to improve HCP behavior, depending on the skill and method used. Our aim was to create a series of short online videos that would serve as training for clinicians and other staff and would be accessible on any computer in the institution. Description: The Patient and Caregiver Education team created a series of short videos called “Quick Clinics” to address a variety of topics related to patient education. Each video was developed to address only one objective. Storyboards and videos were created using a slide template and narration. Six of the 11 Quick Clinics are instructional videos explaining how to use the available technology to facilitate patient education.The remaining five serve as reminders or explanations of skills, such as teach-back and nonverbal cues. All videos were uploaded to an internal video server accessible to all staff across all sites. Evaluation: As of June 1, 2016, there were 925 views of the 11 Quick Clinic videos. User feedback suggests that clinicians find these videos helpful: “…simple, clear, and to the point!” Additional feedback included that the audio aspect of the videos were not always helpful, as clinicians were sometimes viewing the videos in crowded areas, such as nurses’ stations. In response, we added closed captioning at the bottom of each slide allowing them to be watched in clinic without turning on the volume.We are continuing to gather data and make changes as needed. Usefulness: As these videos were created in-house, they can be easily replicated by other institutions and are not cost-prohibitive. They can also be accessed quickly and watched on demand within the institution. Finally, we are able to create and post new videos as topics arise. Learning Objectives: The participant shall be able to identify one way in which they can apply the concept of short educational videos in their own institution. References: Buriak, S. E., & Potter, J. (2013). Impact of an Online Survivorship Primer on Clinician Knowledge and Intended Practice Changes. Journal of Cancer Education, 29(1), 114-121. Sinclair, P. M., Kable, A., Levett-Jones, T., & Booth, D. (2016). The effectiveness of Internet-based e-learning on clinician behaviour and patient outcomes: A systematic review. International Journal of Nursing Studies, 57, 70-81. Abstract: Background/Purpose: In 2011, the Mayo Clinic Cancer Education Center hosted an open house for patients, families, and staff. As part of the open house, a variety of integrative offerings were provided. One activity included the creation of a large mandala with the intent that it would be a one-time experience. This opportunity created a space for participants to tap into their feelings, communicate in an informal, safe manner while receiving support and education. Description: For the open house, a local artist was commissioned to design a mandala. The mandala was chosen because its significance spans multiple world faith traditions and cultures. This mandala was located in an easily accessible work space and patients were provided with inexpensive markers. During the event, this activity provided the participants with a non-threatening art project that tapped into the affective as well as the psychomotor domains. Very minimal staff oversight was needed. Evaluation: Due to patient requests, additional three large mandalas were created over a period of 6 months. Patients continue to come into our center to view and take photographs with the art they and their families created. Following our open house experience, we received the following patient feedback: “Here is a respite from my worries and anxieties, if only for an hour.”“I think mandalas are an excellent way for me and others to just take time, pray, think and relax.” We have continued to provide art opportunities on a scheduled basis for the past 5 years with a budget consisting of minimal art supplies and minimal staff time. Usefulness: With simple directions, low-cost materials, and minimal staff involvement, mandalas can be created almost anywhere. The process of creating a mandala gives patients one more tool to navigate the psychosocial impact of cancer treatment and survivorship. Learning Objectives: The participant shall be able to identify how to implement a low cost, simple art project to address the patient’s psychosocial/affective learning domain during their cancer journey. References: Archer, S., Buxton, S., & Sheffield, D. (2014). The effect of creative psychological interventions on psychological outcomes for adult cancer patients: A systematic review of randomized controlled trials. Psycho-Oncology, 24(1), 1-10. The Mandala Project: Home Page. (n.d.). Retrieved April 04, 2016, from http://www.mandalaproject.org/. Zhang, M., Wen, Y., Liu, W., Peng, L., Wu, X., & Liu, Q. (2015). Effectiveness of Mindfulness-based Therapy for Reducing Anxiety and Depression in Patients With Cancer. Medicine, 94(45). Abstract: Background/Purpose: This literature review identifies the existence of cancer health disparities among African-American men. Those disparities are believed to influence cancer, affecting health maintenance and recovery from the disease. Factors contributing to the development of cancer disparities in African-American men span from their low socioeconomic backgrounds. Fatigue is commonly reported sequelae of cancer and treatment and has been correlated with men’s capacity to cope with and recover from cancer, and has only recently been studied. Methods: This study analyzed the research published on cancer-related fatigue among African-American men following systematic review methodology. Published literature from 2011 through 2016 was searched through PubMed, EBSCO, CINAHL, Embase and PsycINFO. The following keywords were used: cancer-related fatigue, cancer-fatigue, cancer, fatigue, African American, Africans, Black, Blacks, men, male, and males. Results/Findings: Out of 268 published studies that were identified, only two met eligibility criteria. One reported that fatigue was one of the most commonly reported symptoms of distress among African-American cancer survivors, but fatigue was measured with a single question. Another study found the Multidimensional Fatigue Symptom Inventory-Short Form is inadequate when measuring fatigue in African-Americans without cancer. However, when modified, it measured fatigue more effectively. Producing proper tools for measuring fatigue in African-Americans is critical and can be a foundation for tools to better manage or reduce cancer fatigue. Discussion: There are very few studies of cancer-related fatigue in African-American men, demonstrating a gap in knowledge. Because cancer-related fatigue can contribute to higher morbidity and mortality rates, finding new ways to reduce or better manage fatigue is critical. Researchers have primarily focused on addressing cancer fatigue in Whites and African-American women, while African-American men have received less attention. Given the lack of awareness of the role of cancer-related fatigue in African-American men’s experiences with cancer and its treatment, more studies are warranted. Learning Objectives: Participants shall be able to identify at least five factors that contribute to the creation of cancer-related fatigue among African American men. Participants will be able to explain how cancer-related fatigue negatively impacts cancer treatment and recovery. Participants will be able to explain why validated and normed instruments are needed for measuring the impact of cancer-related fatigue interventions with African American men. References: Asvat, Yasmin, Vanessa L. Malcarne, Georgia R. Sadler, and Paul B. Jacobsen. “Validity of the Multidimensional Fatigue Symptom Inventory-Short Form in an African American Community-Based Sample.” Ethnicity & Health 19, no. 6 (December 2014): 631–44. doi:10.1080/13557858.2014.885933. DiIorio, Colleen, K. Steenland, M. Goodman, S. Butler, J. Liff, and P. Roberts. “Differences in Treatment-Based Beliefs and Coping Between African American and White Men with Prostate Cancer.” Journal of Community Health 36, no. 4 (November 24, 2010): 505–12. doi:10.1007/s10900-010-9334-6. Abstract: Background/Purpose: Systematic literature reviews have assessed studies of breast and cervical cancer screening access and utilization  for rural women, but none have reviewed interventions to increase screening among rural residents. Meanwhile, reviews of health literacy  and patient navigation  interventions to promote breast and cervical cancer screening highlight programs around the country that demonstrate increased screening using evidence-based practices, yet the majority of these programs focus on urban settings with no consideration of residential location as a possible independent variable affecting screening outcomes. Methods: A search of Pubmed, Medline, the Cochrane Library, PsycINFO, and Web of Science was conducted to identify applicable studies related to breast and/or cervical cancer prevention education and patient navigation interventions. Inclusion criteria consisted of U.S.-based, English-language articles published between January 1990 to May 2016 that tested an education and/or patient navigation intervention using a control or comparison group and measured changes in screening completion. Results/Findings: A total of 2,280 records were identified from database searches. Titles and abstracts for each record were evaluated with 341 qualifying for full-text review and 1,939 excluded based on the initial assessment. A closer examination of 329 articles during the full-text review were rejected for failing to meet eligibility criteria resulting in 12 publications included in the final analysis. Discussion: With only 12 articles and 10 interventions over a 26 year period, the paucity of literature on breast and cervical cancer prevention interventions in rural areas using health education and patient navigation suggests a need for adaptation and implementation of urban interventions. The variation in design and outcomes among the sample precluded a meaningful analysis of effect size. Only four articles analyzing three interventions included patient navigation, which varied distinctly in implementation across the studies though all reported successful improvements in screening. Learning Objectives: The participant shall be able to identify the available research on breast and cervical cancer health education and patient navigation interventions in rural areas. Also, the participant shall be able to compare and distinguish variation in their current programs. References: 1. Kim, Kyounghae, and Hae-Ra Han. 2016. Potential links between health literacy and cervical cancer screening behaviors: A systematic review. Psycho-Oncology 25 (2):122-130. doi:10.1002/pon.3883. 2. Leung, J., S. McKenzie, J. Martin, and D. McLaughlin. 2014. Effect of rurality on screening for breast cancer: A systematic review and meta-analysis comparing mammography. Rural Remote Health 14 (2):2730. 3. Robinson-White, S., B. Conroy, K. H. Slavish, and M. Rosenzweig. 2010. Patient navigation in breast cancer: A systematic review. Cancer Nurs 33 (2):127-140. doi:10.1097/NCC.0b013e3181c40401. Abstract: Purpose: To evaluate the impact of e-learning in the clinical quality of mammograms produced in the Breast Cancer Screening Program of Barretos Cancer Hospital. Description: The clinical quality of mammograms is essential in potentiating the diagnosis of breast cancer. Approximately 90% of the observed errors in mammograms are due to inadequate women’s breast positioning. Continuous education and personalized training can minimize positioning errors; however, they add elevated costs to the service due to the reduction in exam production and the dislocation of employees to the training center. With the intention of minimizing, the costs related to live trainings an online educational platform was developed where students can access lessons specifically prepared for the correction of their non-conformities in mammography positioning. Radiographers that present an average of greater than 2 non-conformities per mammography in the current month will receive a link to access the platform containing the lessons related to the errors committed. Evaluation: The radiographers participating in the e-learning training will have their exams evaluated prior to the intervention and daily after the conclusion of their online training. During this evaluation, the radiologist responsible for the quality program will assess the 18 positioning criteria for each exam and the results obtained will be compared. Usefulness: The use of e-learning technology associated with effective monitoring of results and new interventions, when necessary, can reduce the costs of continued education in the form of personalized training that is necessary to maintain the clinical quality of the screening program. Not less important, the improvement of quality in exams performed is expected, which would contribute to the increase in accuracy of diagnosis through mammography. Due to the applied methodology being executed in the cloud, it can be replicated even in more remote areas. Learning Objectives: With this system in place, it is expected that at least 30% of the technicians benefit from the e-learning training, which would present itself as a correction of radiographers’ non-conformities, not necessitating the live training. Furthermore, the cost of the trainings will be considerably reduced in the continued mammography service. Due to the applied methodology being executed in the cloud, it can be replicated even in more remote areas. So, the students shall be able to perform mammography with high diagnostic quality, increasing the rate of early diagnosis of breast cancer with all the screened women being benefited. References: 1: Moreira IC, et al. Development and assessment of an e-learning course on breast imaging for radiographers: a stratified randomized controlled trial. J Med Internet Res. 2015 Jan 5;17(1):e3. 2: Geller BM, et al. Educational interventions to improve screening mammography interpretation: a randomized controlled trial. AJR Am J Roentgenol. 2014 Jun;202(6):W586-96. 3: van Landsveld-Verhoeven C, den Heeten GJ, Timmers J, Broeders MJ. Mammographic positioning quality of newly trained versus experienced radiographers in the Dutch breast cancer screening programme. Eur Radiol. 2015 Nov;25(11):3322-7. Abstract: A group of interdisciplinary oral oncology specialists have developed multidisciplinary evidence-based symptom management patient care fact sheets for oral care. These fact sheets were designed to assist the patient and practitioner with prevention and management of symptoms related to their radiation and chemotherapy treatment. The objective is to promote an interdisciplinary model of care, enabling earlier identification, assessment, communication and documentation of symptoms, and optimal non-pharmacological and pharmacological management of symptoms from pre-radiation therapy to post-radiation therapy and active chemotherapy. A video focused on proper oral care has also been developed to be viewed in waiting rooms and on mobile devices while patients are waiting to receive care. The video provides a visual description of proper oral care for those who are illiterate, thereby reaching a larger patient population comprised of those who would normally not have access to this information. The tools were developed by an interdisciplinary panel who worked to identify existing guidelines. The fact sheets are evidence-based, written in grade 5 readership, and is treatment-phased for optimal patient compliance. The fact sheets have met with considerable success on both local and global levels. These knowledge transfer materials have been endorsed by the Multinational Association for Supportive Care in Cancer (MASCC) and the International Society of Oral Oncology (ISOO). The alliance with MASCC and ISOO has led to the adaptation of these fact sheets into 23 different languages and counting, to be used across the globe to improve patient outcomes related to oral care in cancer. Following the trends in user-friendly patient care fact sheets, the primary goal was to develop evidence-based tools for oral care in cancer that were accessible to patients and practitioners in a manner that suits their clinical needs for patients before, during and after head and neck radiation, as well as those on active chemotherapy. Learning Objectives: These fact sheets were designed to assist the patient and practitioner with prevention and management of oral symptoms related to radiation and chemotherapy treatment. The objectives of the current project are to expand and grow our established knowledge transfer and exchange patient education initiatives to develop guidelines, fact sheets and videos to be readily utilized primarily by patients, but also by clinicians and the public alike. References: Cancer Care Ontario. 2012. Cancer Care Ontario’s Symptom Management Guide-to-Practice: Oral Care. Cancer Care Ontario, Ontario, 32pp. Lalla, R.V., Bowen, J., Barasch, A., Elting, L., Epstein, J., Keefe, D., McGuire, D., Migliorati, C., Nicolatou-Galitis, O., Peterson, D., Raber-Durlacher, J., Sonis, S., Elad, S. 2014. MASCC/ISOO Clinical Practice Guidelines for the Management of Mucositis Secondary to Cancer Therapy. Cancer. 120:1453-1461. Wong, R., Bensadoun, R.J., Boers-Doets, C., Bryce, J., Chan, A., Epstein, J., Eaby-Sandy, B. 2013. Clinical practice guidelines for the prevention and treatment of acute and late radiation reactions from the MASCC Skin Toxicity Study Group. Support Care Cancer. 21:2933-2948. Abstract: Background: Prostate cancer (PCa) uniquely challenges patients due to numerous treatment options with a) unknown outcome certainties; b) similar 10-year prognosis; and c) varying impacts on quality of life, psychological functioning, and physical wellness. With high survival rates, patients need to consider treatment procedures, potential permanent side effects, and supportive care. Studies have suggested being knowledgeable about cancer improves patients’ coping and decision-making abilities during cancer continuum. However, increasing complexity of PCa information challenges patients in acquiring adequate and reliable resources. Previous studies have found patients who decided on their cancer treatment with adequate information were less likely to have decisional regret than were those whose physicians made the decision for them. This study explores the effects of two types of education medium (i.e., interactive iPad application, and an information booklet) in patients’ education on their preparedness to make treatment decision and decisional satisfaction. Education materials covered PCa, treatment options, and side effects. Methods: PCa patients were recruited in a randomized control trial. They received PHIN or education booklets for 6 weeks. Patients’ PCa knowledge, their preparedness with decision making and decisional satisfaction were measured before and after intervention and two follow-up points. Results: Preliminary results indicated that patients’ prostate knowledge was strongly correlated with their preparedness to make treatment decision. Additionally, the preparedness to make a treatment decision was correlated with decisional satisfaction. Detailed results in patients’ treatment decision choices and demographic factors will be presented. Discussion: Increasing complexity of information across the PCa continuum challenges patients in acquiring adequate and reliable resources. Both education materials deliver consistent educational content thereby reducing the information variation often associated with patient education. Furthermore, PHIN accommodates different learning styles with additional features. Strong correlation of patients’ PCa knowledge, preparedness to make decision, and decisional satisfaction highlight the importance of providing evidence-based and reliable resources to patients. Learning Objectives: Identify different prostate cancer education mediums. Understand the impact of patient knowledge on the preparedness to make their treatment decision. Understand the impact of patient knowledge on the satisfaction with their treatment decision. Understand the relationship betweenpatients’ knowledge and their readiness to make a treatment decision. Understand the relationship betweenpatients’ knowledge and their treatment decisional satisfaction. References: Christie, D. R. H., Sharpley, C. F., and Bitsika, V. (2015). Why do patients regret their prostate cancer treatment? A systematic review of regret after treatment for localized prostate cancer. Psycho-Oncology, 24: 1002–1011. doi: 10.1002/pon.3776. Berry, D.L., Wang, Q., Halpenny, B., & Hong, F. (2012). Decision preparation, satisfaction and regret in a multi-center sample of men with newly diagnosed localized prostate cancer. Patient Educ Couns, 88(2):262–267. doi: 10.1016/j.pec.2012.04.002.